Uncanny Avengers is a roller coaster of unknown. Coming right out of his Uncanny X-Force run, Rick Remender is putting together a group of mutants and humans all of them being ex X-Men and Avengers. With a thought of hoping to protect Charles Xavier's dream of unity between mutants and humans, this group has the possibility of destroying that dream. With a book that has hero's like Thor, Havoc, Captain America, Wonderman, Scarlet Witch, Rouge, Starfire, Wolverine, and Wasp.... What could go wrong? 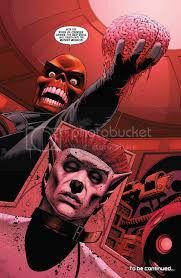 Well everything goes crazy once you include Kang, Red Skull, Apocalypse Twins, and the Four Horse men of the Apocalypse. This is a book that is unpredictable and a ever so exciting thrill ride. Remender has not missed a step writing joy ride. 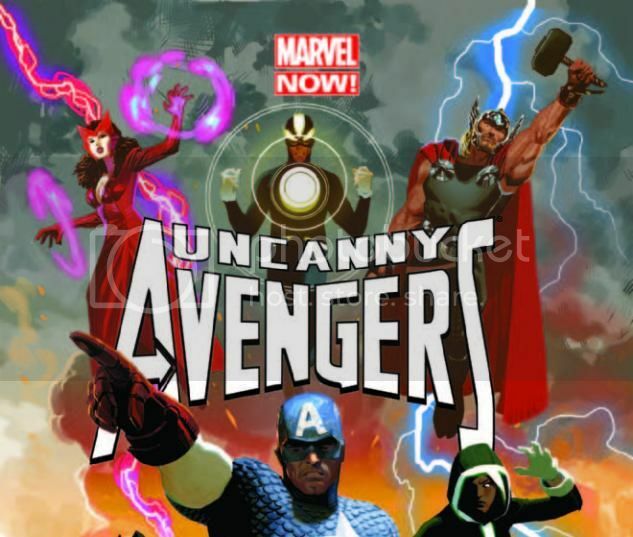 Do your self a favor and pick up Uncanny Avengers Vol:1 "The Red Shadow" and Vol:2 "The Apocalypse Twins". Both can be found at Merlyn's and like everything here it is 10% off!! !